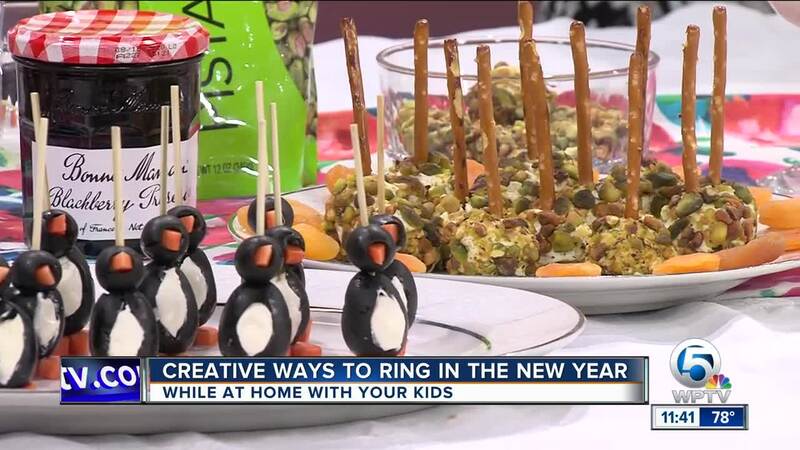 Food and lifestyle expert Roni Proter has creative and fun ideas to celebrate the New Year with your children. Cut the goat cheese and form into 1 inch balls. Place a quarter of the dried apricots in the center and form the ball around it. Roll into chopped pistachios and stick a pretzel through the top.